So many things are changing with time, changes that are inevitable. 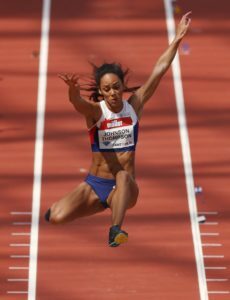 The case still remains pretty similar with the Sports field, and in one of the Ted Talks – David Epstein explains and asks the people whether the real and other famous athletes are stronger and better than the previous players? He has explained this in a very detailed way making it a must-watch for all. David Epstein on: Are the athletes getting faster, better, stronger? David Epstein is currently serving as the investigative journalist at the ProPublica. He is also the author of the New York’s Best Seller – The Sports Gene: Inside the Science of Extraordinary Athletic Performance. He was the former senior writer at the Sports Illustrated. Talking about his TED talk video, he charts all the records from different sports activities and compares them with the current records. He says, indeed new records have been set in the athletic field but are those equal comparing with the previous records considering the technology, and factors that were used back in the 70s and 80s? The Olympic motto says Faster, Higher and Stronger. But David asks the audience if these are rightly justified for the current scenario. He started off the talk taking Jesse Owens example. Jesse Owens won the 1936 Olympics 100m Sprint with a time record of 10.2 seconds. In the year, 2013 the record was broken by Usain Bolt with a new record of 9.77 seconds. Definitely, you will say that Jesse Owens would have lost the match if he competed with Usain, but are the technological and other conditions taken into consideration? For example, Jesse Owens ran on a soft surface of wood rash that would actually lose out more energy than the engineered carpet which was used by Usain Bolt. While Usain ran using the starting blocks, Jesse had to dig small holes using a trowel on the surface. Can you make out the differences now? So, this proves that Jesse has got more stamina in him and he would have won the match if he had to compete with Usain Bolt. If all the advancements were taken care of, then undoubtedly Jesse would have won against Usain, instead of being 14 feet slower. Along with the gaming upgrades, even the body type has changed a lot. In the earlier days, average body type was considered the best for all sports. But things are different now, and each sport demands a specific physique. Not all the game players have the same body, and you might have seen them already. It’s a delight to watch the points David shares in this TED Talk, and the video has already crossed 2 million views!